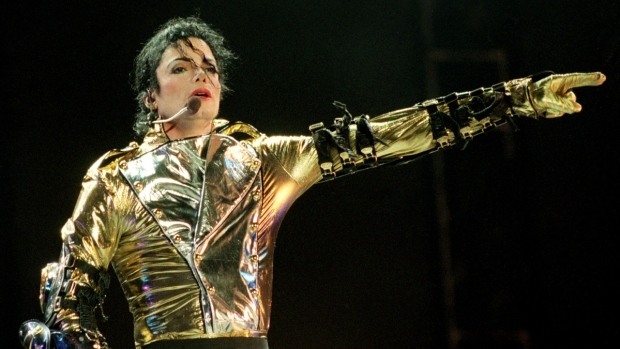 From the "Thriller" jacket to his signature gold accessories, Jackson's iconic style launched a world of copycats. Bright red, scrunched at the sleeves, and ultra-fitted, this jacket launched a nationwide obsession with tough-yet-slick motorcycle jackets and decades worth of imitations (some covered in zippers, some ultra-bright and boxy). Granted, it's since been the subject of more than a few laughs in the decades that followed, but in the '80s, everyone was rocking this eye-catching accessory. If you were brave enough, it was completely encrusted with glittering sequins; for those a bit less courageous, it was crisp white. Could MJ have been a hipster ahead of his time? Dancing around in his ultra-slim pants, long hair, and eyes half-hidden under the brim of a tilted fedora, he certainly got the basic idea right. He might not have gone for the gold chains that other members of the music community started rocking in the '80s and '90s, but he certainly wore his fair share of bling--from gilded futuristic-looking armor to chunky belts, badges, and faux ammo straps worn across his chest.